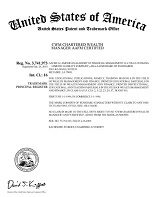 CWM Chartered Certified Wealth Manager ® - Reg. Renew Your USA CWM ™ Certification Designation & Keep your Competitive Edge. Dear Fellows and Certified AAFM Members. To receive your updated professional designation, member and fellow documentation, and to have your name remain on the global verification list, please renew your credentials today.